Teresa Burtoft spent most of her formative years in North Carolina, where her family still resides. She attended Pittsburg State University in Kansas for her undergraduate degree and received her Doctorate from the College of Podiatric Medicine and Health Sciences located in Des Moines, Iowa. Her surgical residency in Reconstructive Foot and Ankle Surgery was completed at The Cambridge Hospital in Cambridge, Massachusetts. Dr. Burtoft has extensive training in forefoot reconstruction. Her training included work with some of the leading Podiatric and Orthopedic surgeons around the Boston area. Dr. Burtoft is Board Certified in Foot Surgery by the American Board of Podiatric Surgery and is on staff at Lawrence General, Holy Family, Lowell General and Winchester Hospitals as well as The Andover Surgery Center. Dr. Burtoft continues her education by attending multiple conferences and is dedicated to learning the latest advances in medicine and innovative techniques to bring the most current level of care to her patients. Dr. Burtoft acquired the Foot Health Center of Merrimack Valley in November of 2000. The Practice has grown substantially under her direction by her dedication for providing quality care and investment in technology to provide patients with alternatives. With the additions of Dr. Dalrymple in 2009 and Dr. O’Keefe in 2013, the Foot Health Center expanded its foot print to Tewksbury. Currently, Dr. Burtoft resides in the local area. She is a golf fanatic and enjoys outdoor activities and exercising. Dr. Christine Dalrymple began her education locally at Sacred Heart School in Lawrence and then graduated from Dracut High School. She obtained her Bachelor Degree in Exercise Science at George Washington University and received her Doctorate from Des Moines University, Iowa. Dr. Dalrymple spent her first year of Residency at the Veterans Hospital in Boston where she obtained a solid background in medical and surgical management of diabetic foot complications and common Podiatric conditions. 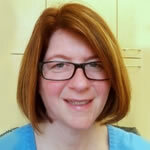 Her second year of Residency was completed at Roger Williams Hospital in Providence where she developed strong surgical skills in elective procedures for bunions, hammertoe deformities, arthritic conditions, chronic plantar fasciitis, and painful flatfoot conditions. Dr. Dalrymple is Board Certified in Foot Surgery by the American Board of Podiatric Surgery and is on staff at Lawrence General, Holy Family, Lowell General and Winchester Hospitals as well as The Andover Surgery Center. She continues her education by annually attending conferences to bring the most current and advance level of care to her patients. In her free time Dr. Dalrymple loves spending time with her husband and son. She is a National level Gymnastics Judge and is actively involved in the Gymnastics community. Her interests also include general fitness and Sudoku puzzles. Kathy O’Keefe grew up in Massachusetts and graduated from Dracut High School. She obtained her Bachelors Degree from the University of Vermont where she competed for their division 1 gymnastics team. 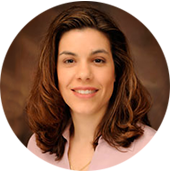 After receiving her Doctorate at Barry University in Miami Shores, FL, she completed her surgical residency at St. Francis Hospital and Medical Center in Hartford, CT and has extensive training in all aspects of surgical reconstruction of the foot. Dr. O’Keefe is Board Certified in Foot Surgery by the American Board of Podiatric Surgery and is on staff at Lawrence General, Holy Family, Lowell General and Winchester Hospitals as well as The Andover Surgery Center. She continues her education by annually attending conferences to bring the most current and advance level of care to her patients. Dr. O’Keefe joined the Foot Health Center of Merrimack Valley in 2013 bringing a wealth of experience in both private and public practice. She had spent five years on staff at Saints Memorial/Lowell General Hospital and four years practicing in New Hampshire before joining the team. She integrates quality of care with communication and compassion and emphasizes patient education. Dr. O’Keefe enjoys spending time with her husband and 2 children. She enjoys exercise and volunteers coaching youth sports. 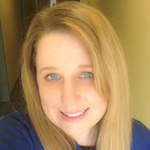 Nikki joined us as a Medical Assistant with the opening our Tewksbury office 2013. 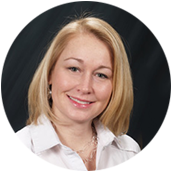 Nikki schedules surgeries and diagnostic testing as well as assisting the Doctors with procedures in the Tewksbury office. Deb is a receptionist in our North Andover office. 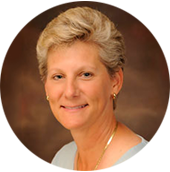 She brings over 20 years experience in the medical field and has worked at other local Doctors offices. She brings a wealth of experience and enthusiasm to our office. Nairobi did her Medical Assistant Training externship with us in 2015 and stayed on as an employee in our North Andover office. She escorts patients to the exam rooms, assists the Doctors and is a backup to our front office staff. Alba joined our office in November 2015. 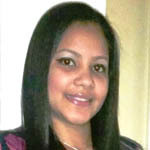 She is responsible for data entry of patient medical information and assists the Doctors with procedures. She also provides back up for the Front Desk and Patient Scheduling. Jodi has been with us since August 2016 and submits all medical claims to the insurance companies. She is happy to talk with any patients who have questions in regard to how your claim was processed, deductibles and statements received.